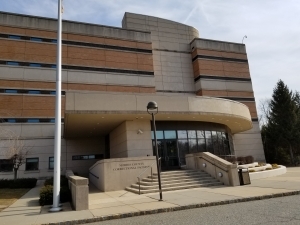 The Morris County Board of Freeholders on Wednesday, March 27, approved a shared services agreement with Sussex County to house a minimum of five Sussex County female inmates per day at the Morris County Correctional Facility for $105 per inmate each day. The Morris County freeholders voted 7-0 in support of the three-year agreement that will go into effect on Monday, April 1. The pact will remain in effect until March 31, 2022, unless terminated earlier by mutual consent. The contract requires Morris County to make a minimum of five beds available for female Sussex County inmates. Sussex County will pay a minimum, annual amount of $191,625 to Morris County, even if it does not need five beds every day. 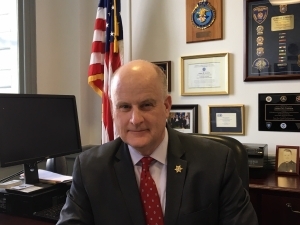 “This is another example of smart business through shared services,” said Morris County Sheriff James M. Gannon who negotiated the agreement with Sussex County Sheriff Michael F. Strada through the oversight of respective county counsels for both counties. “We have a sophisticated operation at our correctional facility and this gives us an opportunity to cut our operating costs with the additional revenue from Sussex County,” Sheriff Gannon said. Morris County already has shared service agreements through which Sussex and Warren counties use its Medical Examiner services, and other counties house their juveniles at the Morris County Juvenile Detention Center and Youth Shelter. “In Sussex County, this agreement will result in additional savings in the operations budget of our correctional facility. We were $2.7 million under budget last year and I expect that savings to increase with the transfer of our female inmate population to Morris County,” Sheriff Strada said. “I look forward to working with Sheriff Gannon and his staff to ensure a smooth transition of inmates as we move forward with this agreement,” he said. Opened in May 2000, the Morris County Correctional Facility off John Street in Morris Township was built to house 524 inmates but now has an average daily population of about 200 inmates. The population at the Keogh-Dwyer Correctional Facility in Newton, which opened in 1978, has been declining since statewide criminal justice reform, also known as bail reform, went into effect in 2017 and resulted in more arrestees being released pretrial under special conditions rather than being held in custody. In 2016, the average daily inmate population at the Sussex County jail was 146 people. Currently, the daily population is between 70 and 80 people. Sheriff Strada has said the Sussex County jail is antiquated and needs a large infusion of money to bring it into compliance with building codes and the Americans With Disabilities Act. “It’s a great opportunity because of the shared services aspect,” Morris County Correctional Facility Warden Christopher Klein said. A key provision of the agreement calls for Sussex County Sheriff’s Officers to transport female inmates to Morris County and then to subsequently retrieve and transport them back to Sussex County upon discharge. Another provision calls for Morris County to provide all routine, non-hospital, non-emergency medical services. However, Sussex County would be responsible for t he costs of all off-site medical care, emergency care, hospital care and extraordinary or non-routine medical care given to female Sussex County inmates housed by Morris County. Sheriff Gannon, along with Warden Klein and Morris County Correctional Facility Undersheriff Alan J. Robinson, said the Morris County jail is uniquely suited to accommodate the Sussex County inmates because of its size, available space and multiple accreditations attesting to its professional operations. The Morris County Correctional Facility is accredited by the American Correctional Association and the National Commission on Correctional Healthcare. The ACA recently gave the Morris County Correctional Facility perfect scores of 100 on all mandatory and non-mandatory standards. The facility also is inspected annually by the state Department of Corrections. The Sussex County inmates housed in Morris County will have equal access to educational and substance abuse programs, as well as special programs started by Sheriff Gannon that include the Successful Transition and Re-Entry Program (STAR) that assists inmates in re-entering the community, and the Hope Wing, for inmates struggling to overcome substance abuse addictions.